Mosquitoes aren't going to leave us alone anytime soon. So, what should we do in the meantime? We can eat all the garlic we want, to try and naturally repel these flying pests, but like many often-touted, old wives tales, this is largely ineffective. Instead, why not try using lemongrass for mosquitoes? Lemongrass is an all-natural and effective way to get rid of mosquitoes, which won’t repel your fellow humans in the way that excessive garlic might. As an added bonus, using lemongrass means avoiding harsh chemicals. Read on to learn more about this phenomenal plant. Mosquitoes despise the smell of lemongrass. They will avoid this plant and its scent as much as we want to avoid them. Because it is so useful at keeping mosquitoes at bay, lemongrass is commonly used as a key ingredient in many commercially available repellents. Lemongrass is actually a collective name for all the plants in the Cymbopogon family. In this grouping you will also find other mosquito-repelling plants, such as citronella and fever grass. When we speak of lemongrass the plant, we are referring to Cymbopogon citratus. Citronella oil, which many of us are familiar with, is an oil made from the leaves and stems of the plants in the Cymbopogon family, including lemongrass. Citronella and lemongrass work by somewhat blinding the mosquito’s sense of smell. The strong scent emitted by these plants is enough to cover up our body odor, which the mosquitoes find very attractive. Citronella oil is often used in repellent candles. The pleasant, lemony smell has become a signature summer scent in areas with a lot of mosquitoes. The lemongrass plant itself is native to Asia, where it has been used as an ingredient in a number of dishes for centuries. If you’ve ever had a green Thai curry, you might have noticed the tangy, slightly lemon taste, this is thanks to lemongrass. In fact, many dishes from Thailand make ample use of this herb. A fully grown lemongrass plant can become as big as six feet tall and four feet wide. Because of its distinctive, grass-like shape, it has become a common decorative plant across the world. Many experts recommend planting lemongrass along pathways, patios, and in the corners of your yard, to keep mosquitoes well away. These plants are hardy and can withstand temperatures that are quite different to their native Asia, so you don’t need to worry too much about them handling cooler climates. There are a few different ways to use lemongrass to keep mosquitoes away. You can buy repellents with lemongrass as their main ingredient, or you could make your own all-natural repellent. I will share with you below a few ways to quickly and easily utilize lemongrass in the battle against the bite. Creating your own repellent spray can save you money, it's also quite easy to do. All you’ll need is lemongrass or lemongrass oil, water, and a pot. If you’re using the plant itself, grab a bunch of leaves. If you’re using oil, you’ll need around 25 drops to each 500ml of water. Mix the ingredients in a pot and let the mixture boil. If you’ve used leaves, you need to wait until the water is yellow. Next, take the mixture off the heat and let it sit covered overnight. By the morning you will have your repellent. If you used leaves, strain the mixture, then simply pour the liquid into a spray bottle, and you're ready to go. This homemade spray is pretty good at keeping mosquitoes away, but it won't last the whole day. To be on the safe side, respray often. It's a good idea to test the spray out on a small piece of clothing, before covering yourself, to be sure it won't stain. The great thing about essential oils, I believe, is that many of them repel mosquitoes really well. So why not mix a few together to create a super-repellent mix that will keep you bite-free for longer? Combining lemongrass with other oils can form a powerful mixture. Lavender - the smell is enjoyable to us but nauseating to mosquitoes. Peppermint - unpleasant smell for mosquitoes. The concentrated oil can also kill the larvae of three dangerous species: Aedes aegypti, Culex q, and the Anopheles stephensi. Tea tree oil - works both as a repellent and as a soothing treatment on bites. Lemon eucalyptus oil - this is less concentrated than oil of lemon eucalyptus. It works well, but you will have to reapply more often. If you do use oil of lemon eucalyptus, use half the amount. Mix a few drops of lemongrass oil with the same quantity of your favorite smelling essential oils. Add some witch hazel, I recommend 10-25 drops, and give it a good shake. A base oil such as almond or jojoba can help the repellent spread further. These homemade repellents are an excellent choice when you don't want to walk around reeking of pesticides. If you're not planning on using the whole mixture at once, add half a teaspoon of vodka. The vodka will keep it fresh for longer, so you can save it to use later. If you happen to have a lemongrass plant in your garden, you can protect yourself from mosquitoes by using the plant itself instead of an oil. All you have to do is break off a few leaves and either grind them or mince them. The resulting paste can be rubbed directly on your skin. As with anything, there are a few risks and precautions which are important to consider when using lemongrass. The lemongrass plant is often used in Asian cuisine to flavor curry pastes. Therefore, the lemongrass plant is not dangerous. However, the oil of lemongrass can be highly concentrated, depending on the purity. The higher the concentration, the more careful you will have to be. If you have 100 percent pure lemongrass oil, do not apply it directly on your skin, because it could cause irritation. You also should never use the refined oil in food. Lemongrass oil can also be a severe irritant to the throat, lungs, and gut, if ingested. Lemongrass repellents won't kill mosquitoes, they will only keep them at a distance. If you need to treat an infestation, you should consider something a little stronger, or seek professional help. Natural repellents, like lemongrass or citronella, aren’t registered with the EPA. This doesn’t mean they are ineffective, just that for severe infestations you’re going to need a little more power behind you. Do bear in mind that lemongrass, or any other essential oil for that matter, won't work as effectively as chemicals like DEET. For this reason, frequent re-application will be needed when you’re using a natural repellent. And finally, be sure to keep all essential oils well out of the reach of children. 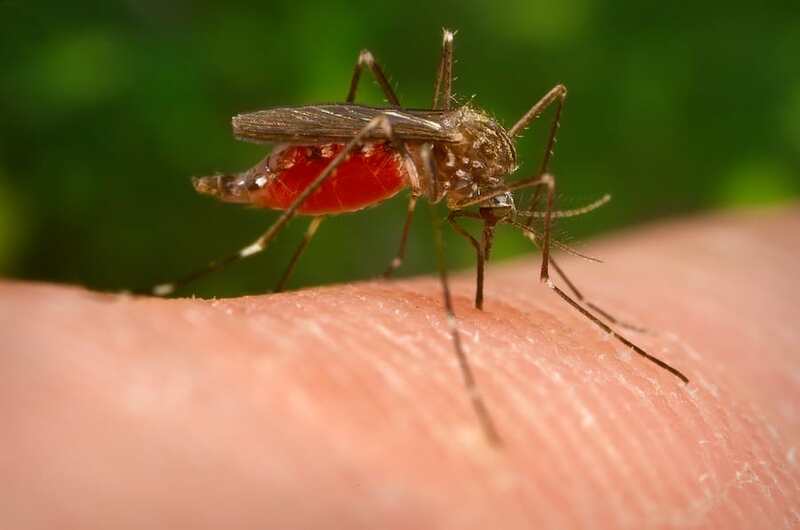 Using a repellent is an effective way of avoiding the itchiness and hassle of mosquito bites. Taking advantage of nature's best ingredients can save you money - and you won't have to walk around smelling noxious. Lemongrass is a very versatile plant. The plant can be used as a cooking ingredient, it's excellent for the digestive system, and it is also a potent antioxidant. Using lemongrass for mosquitoes is a great alternative to harsh chemicals. However, it won't last as long, so do remember to reapply often.